Petition Keep recombinant nucleic acids contained in Biosafety Level 1 facilities, or higher. 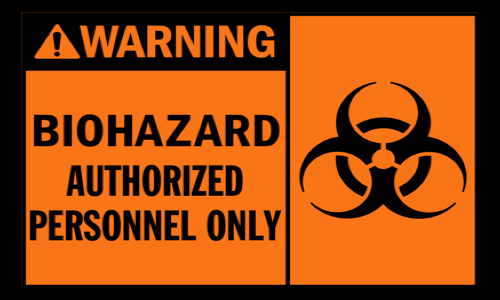 Keep recombinant nucleic acids contained in Biosafety Level 1 facilities, or higher. Specifically, the process of connecting DNA or RNA fragments from various sources in the environment creates nucleic acids that will not otherwise occur in nature and that will have the potential to be transcribed and translated into novel viruses or other replicating biological structures that devastate life on Earth. We, the undersigned, support the creation of these molecules if the purpose is to alleviate suffering. Research that has led to improved treatments for diseases that cause significant suffering rely on the creation of these synthetic nucleic acids. These molecules also hold promise to alleviate other forms of suffering, like starvation and environmental damage. However, we acknowledge the risks to all life are tremendous, and could be apocalyptic. Human pandemics or disruption of the ecosystem that supports human life are possible accidental outcomes of creating recombinant nucleic acids. We think these outcomes are plausible and significant enough that we might not be able to recover from them once they happen. We support a ban on distributing these molecules to high school classrooms, personal residences, and any other setting that is not a regulated Biosafety Level 1 facility, or higher.